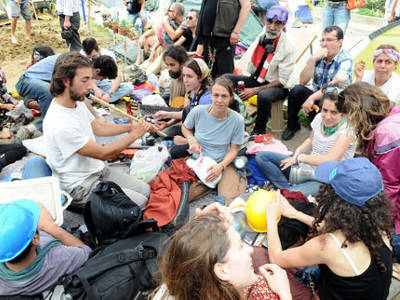 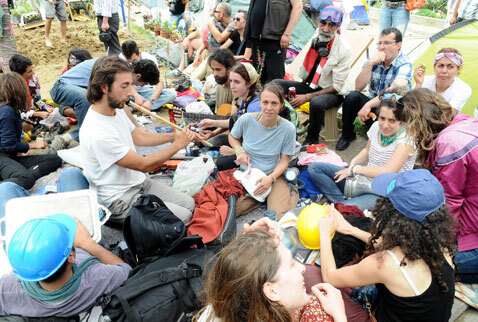 After a meeting with a group of artists and Taksim Solidarity, Erdoğan stated that even if the ongoing judiciary process of the Artillery Barracks project would end up positive, people will be given a second chance via a plebiscite in Istanbul. 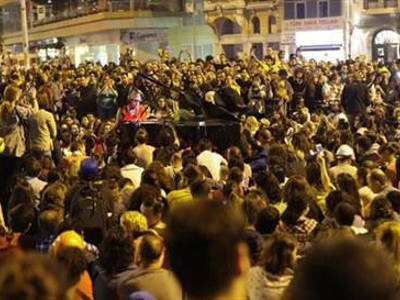 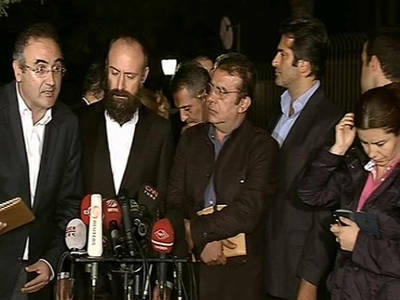 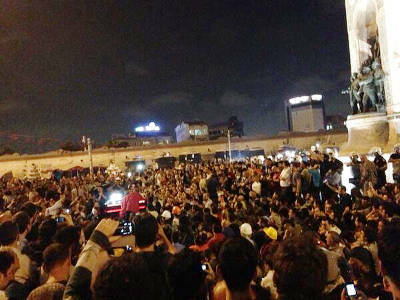 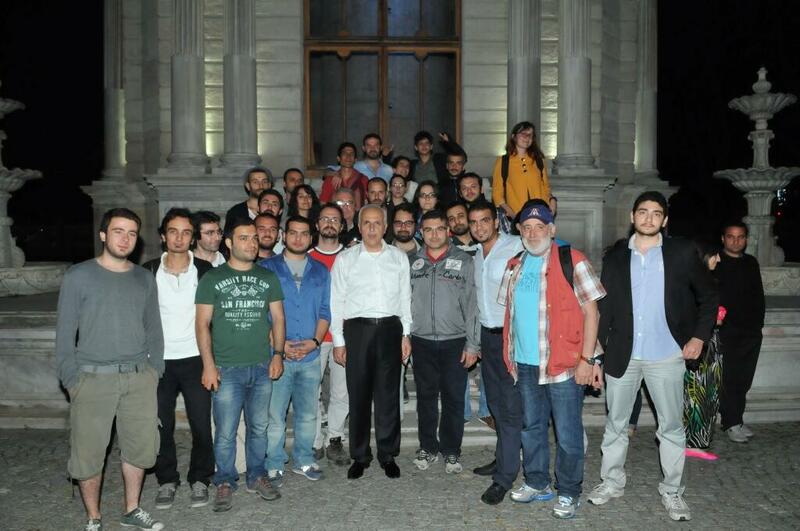 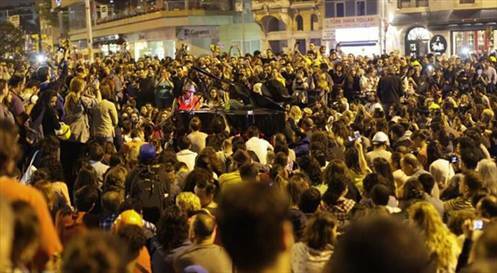 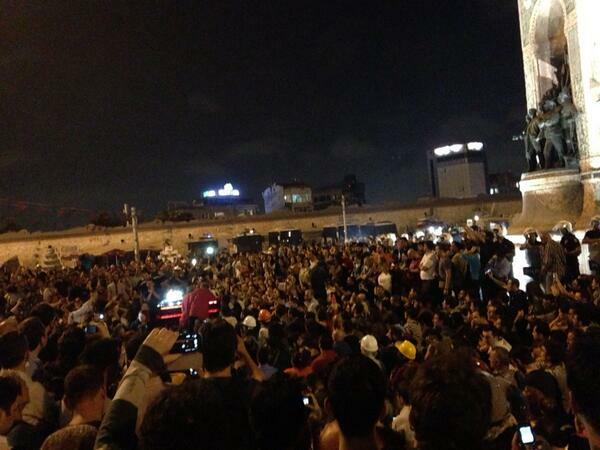 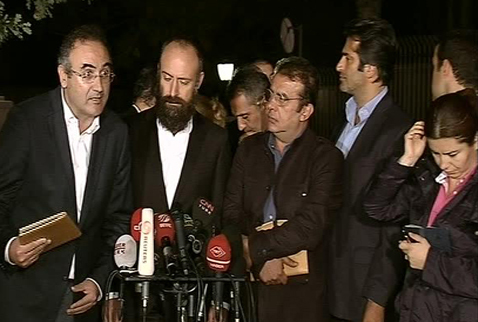 In addition, Hüseyin Avni Mutlu, Mayor of İstanbul, had a meeting with protesters at night. 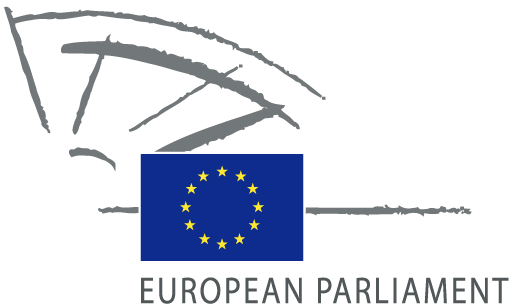 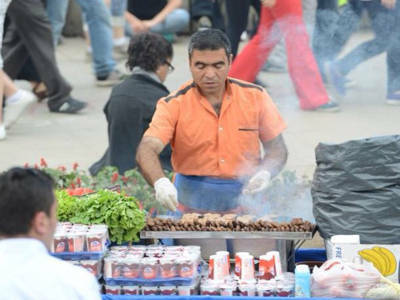 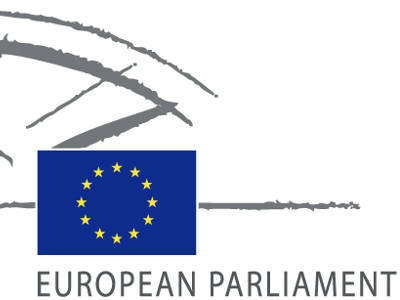 European Parliament published a conclusion about the Gezi Park Incident which mostly criticizes the attitude of Erdoğan during the protests and lack of press freedom in Turkey. 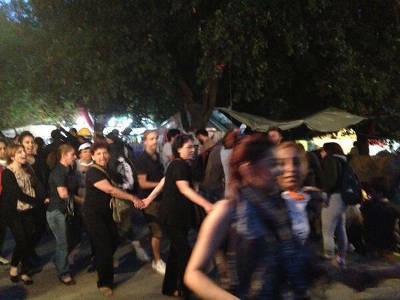 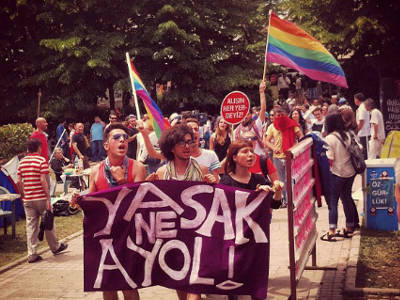 As a reaction to Erdoğan's call out to mothers to call their children in Gezi Park to home, hundreds of mothers occupied Taksim Gezi Park to support the protests. 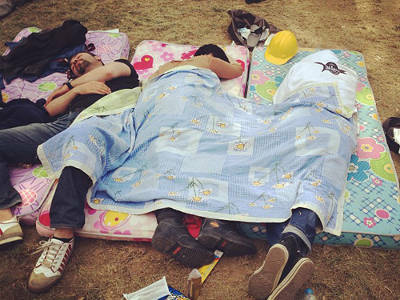 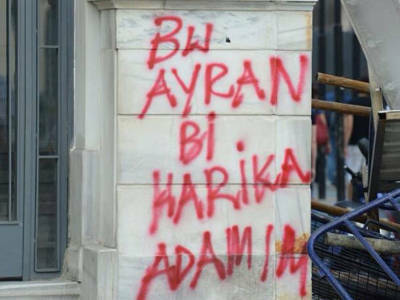 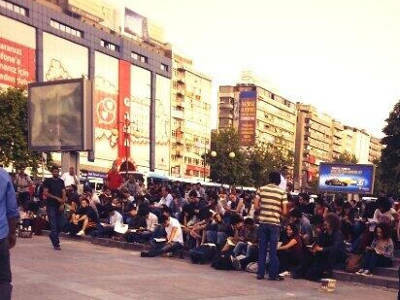 Passive resistance of a group of people gathered for reading is turned into clashes in Ankara. 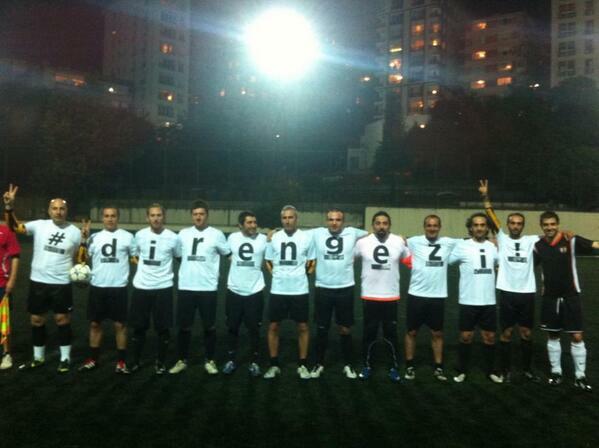 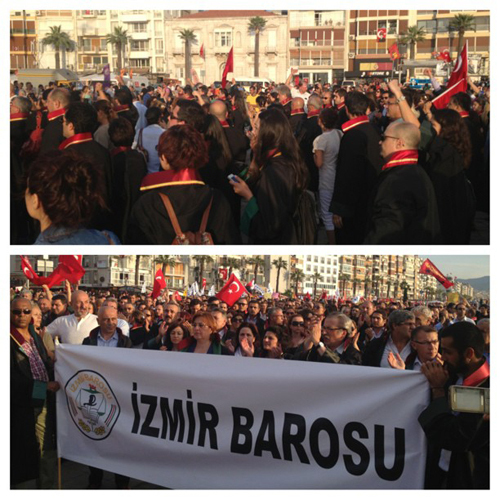 In İzmir, lawyers protested the custodies of lawyers in Istanbul yesterday. 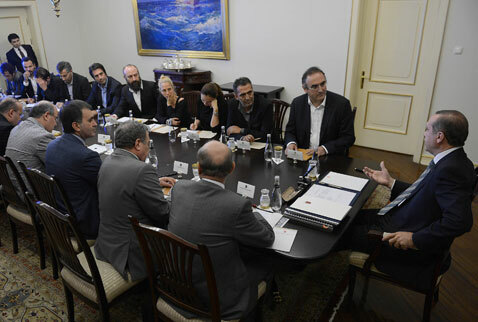 Erdoğan also met with Hülya Avşar. 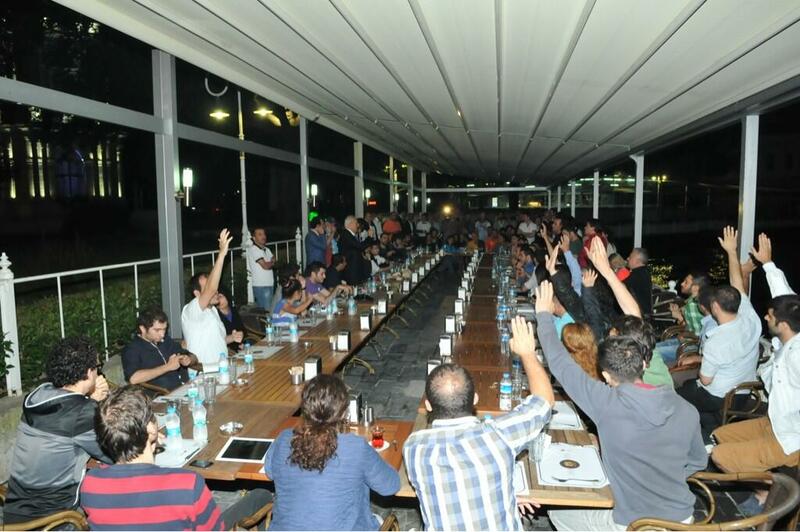 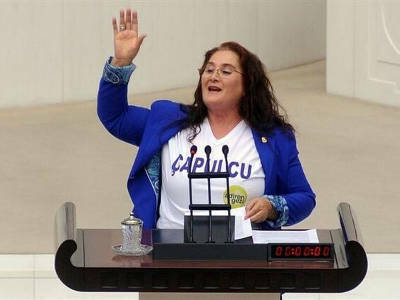 Protesters reacted to the Hülya Avşar's meeting with Erdoğan and emphasised the irrationality of the meeting. 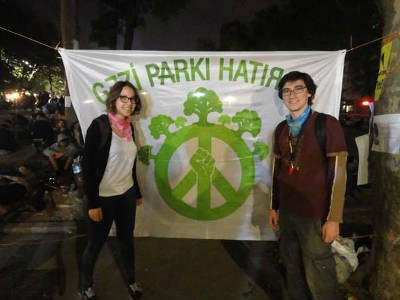 Protesters shared the above banner to show the absurdness of the meeting: "Imagine Obama having a talk with Kim Kardashian to resolve the issue of resistance in Central Park." 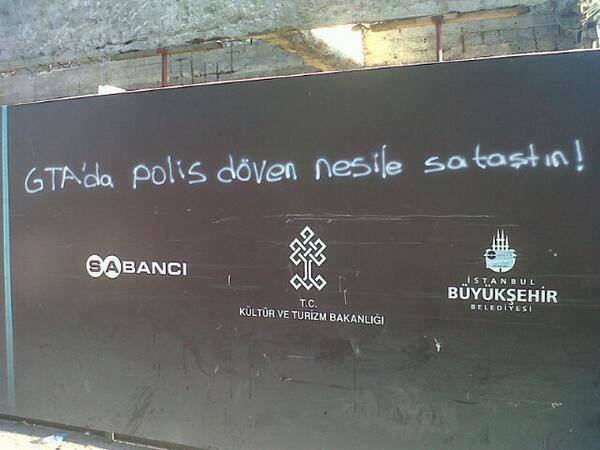 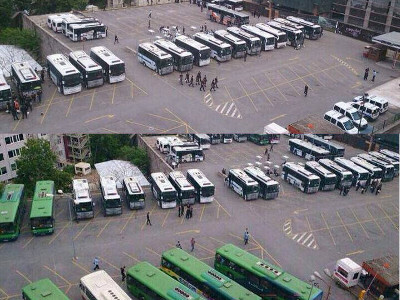 Scenes depicting the number of increasing police forces in Taksim, İstanbul. 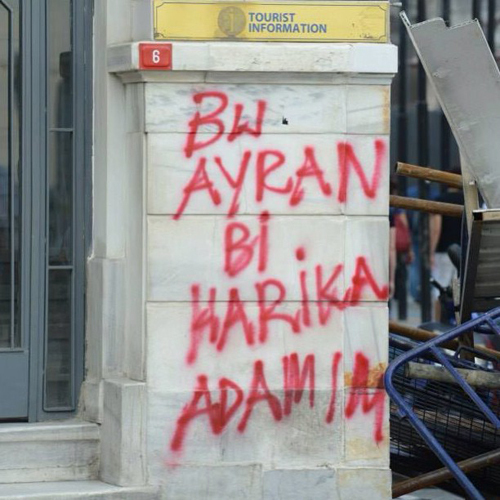 "This ayran is awesome bro!" 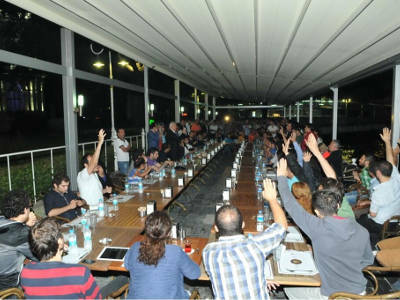 Hüseyin Avni Mutlu, Mayor of İstanbul, had a meeting with a group of 150 young protesters in Dolmabahçe Saat Kule Cafe in between 12 PM and 5 AM. The first question from the protesters was about the ban of tear gas. 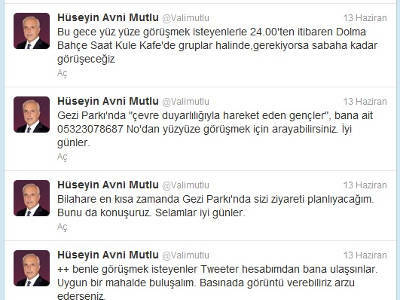 Mutlu's answer "I'll try to answer" caused laughters. 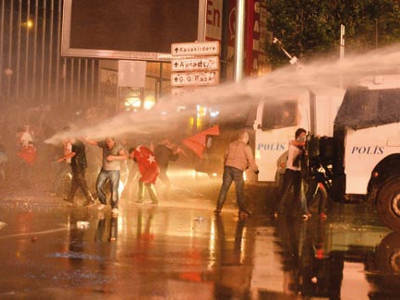 Then he stated that "The police is also not comfortable because of tear gas usage. 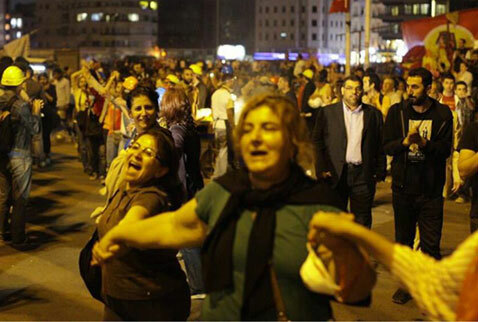 They also share the same atmosphere and breath it. 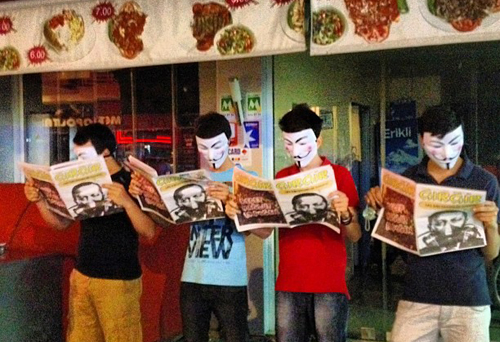 Everybody does not have a mask at all. 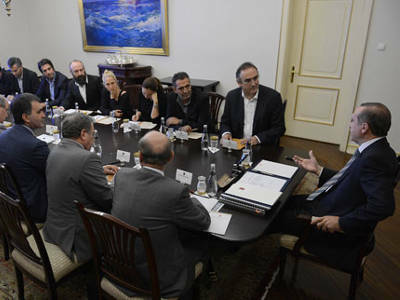 In conclusion, we are trying to find out alternatives. 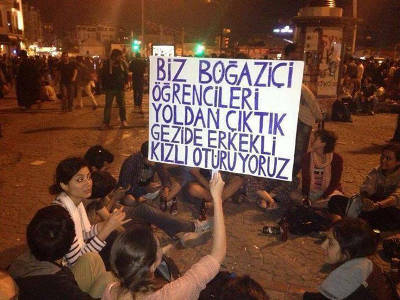 In addition, we don't encounter the passive activists everytime, some uses molotov cocktail. 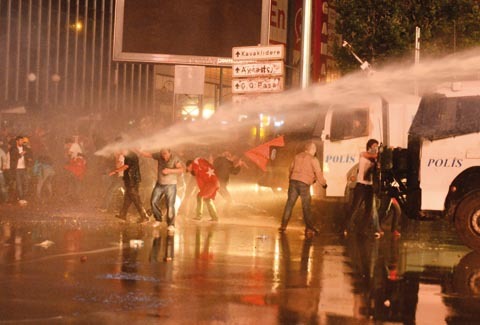 Is there any other tool that would only neutralize this kind of protesters. We are working for that." 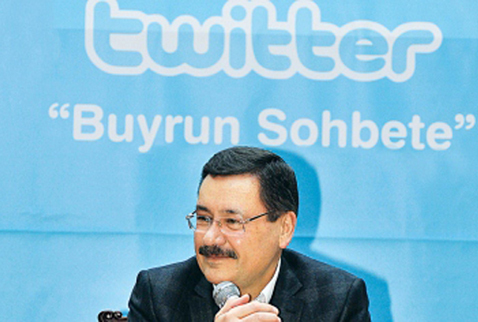 Mutlu also commented about "çapulcu" expressions of Erdoğan: "Our Prime Minister Erdoğan declared 'çapulcu' to denote a group of people who burnt the cars. 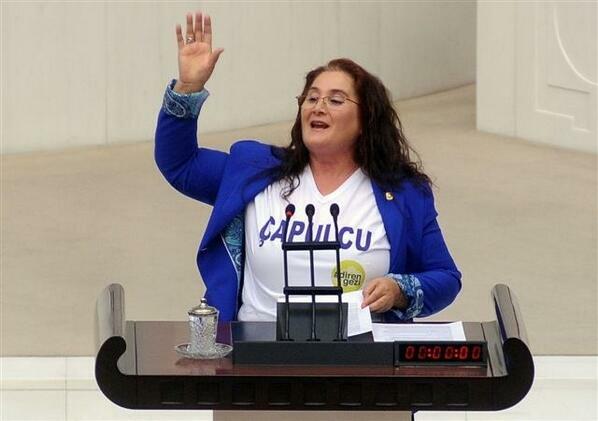 This word isn't declared for any of you. 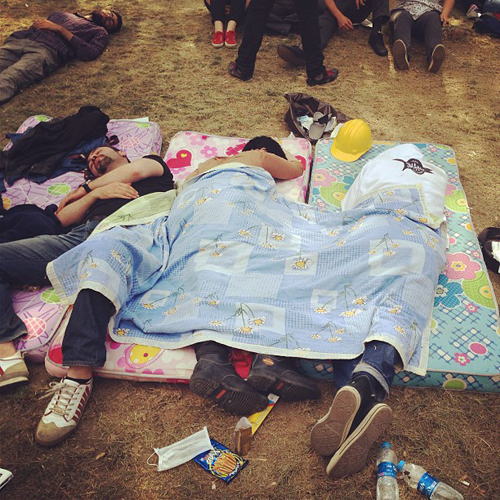 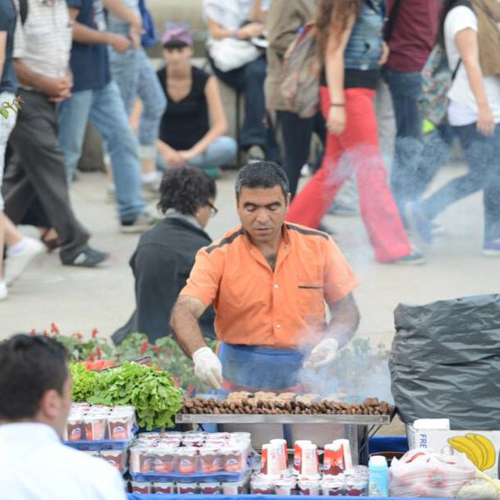 He said that he is kissing the young people who stay in Gezi Park. 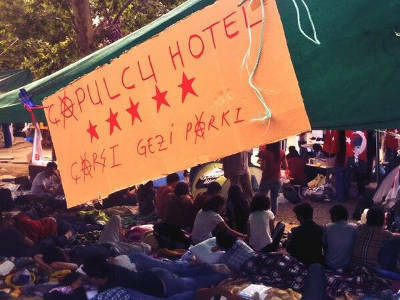 'Çapulcu' word is declard from him for the ones who burnt the cars, damaged the stores and ATMs etc. So far there is just one police officer is suspended due to excessive force usage. 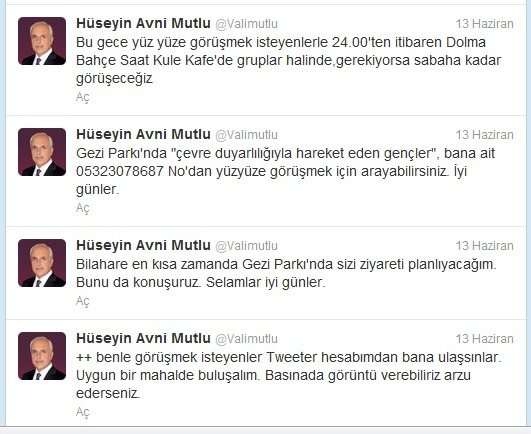 In reply to people's question on the matter, Mutlu replied that "But it just happened at the beginning of the events. Suspensions would continue. 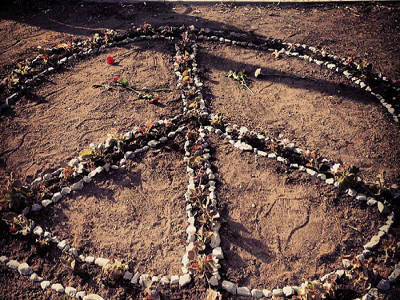 Here I apologize from everyone who had unfairness." A group of soccer playing civilians supporting the protests. 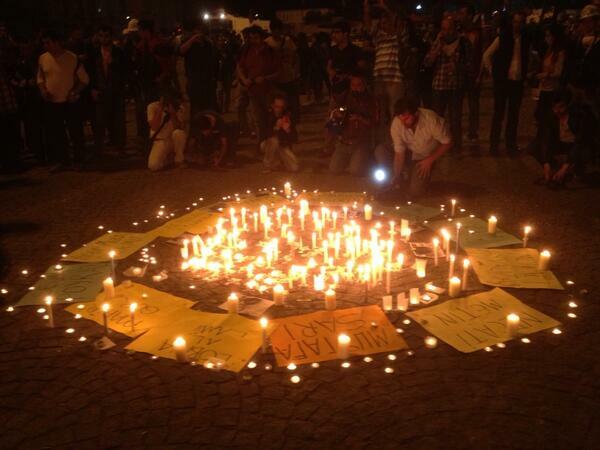 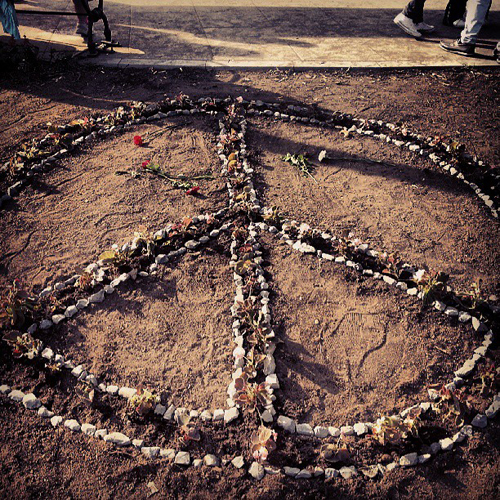 People taking Gezi Park Memorial photos. "You teased with the youth beating the police in GTA [video game]." 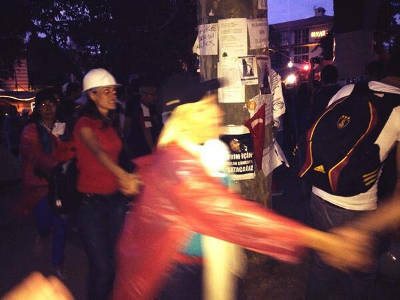 Protesters remembering the lost ones. 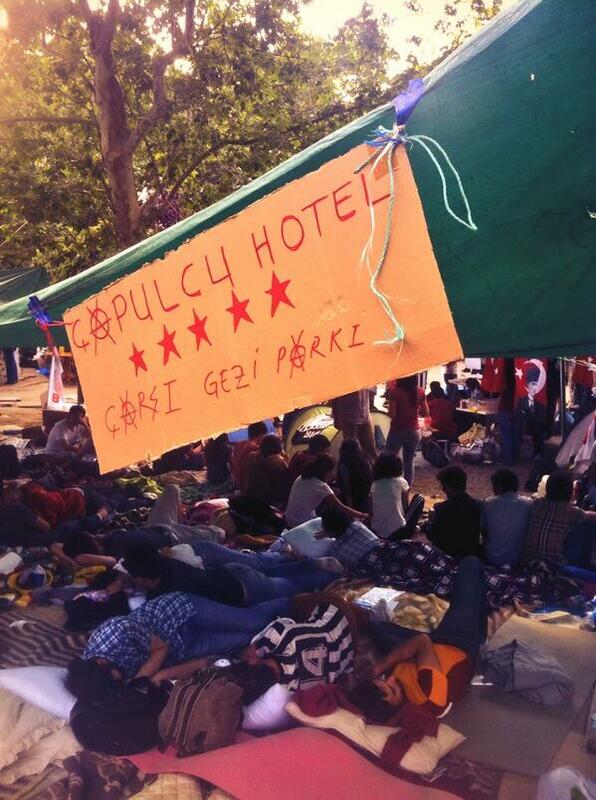 Protesters are sleeping in turns. 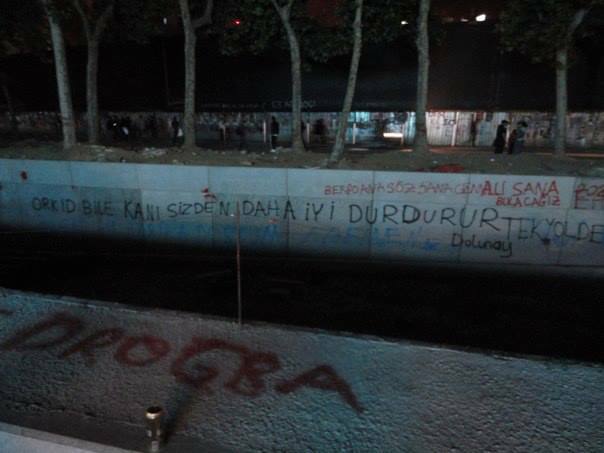 "Even the Orkid [a pad brand] cleans the blood better than you." 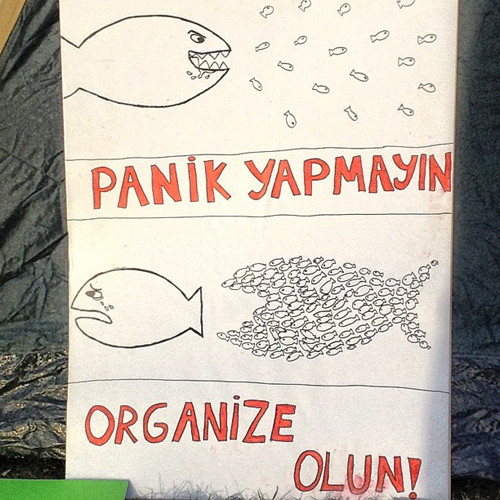 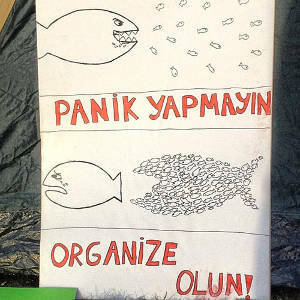 "Do not panic and do organise." 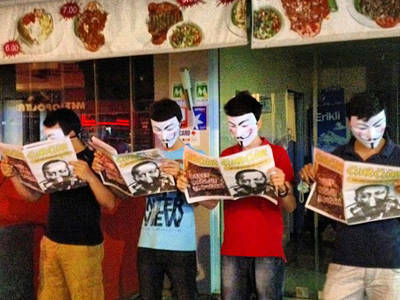 A group of protesters reading comic magazine GırGır teasing with Erdoğan. 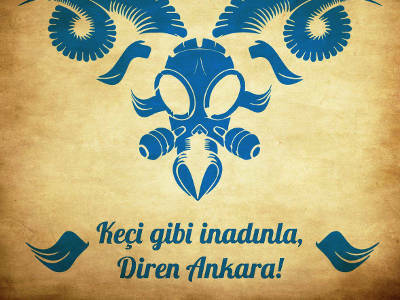 Refering to the video Serkan is my girl. 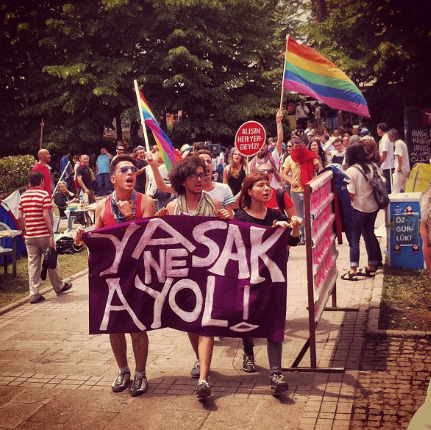 A parade of LGBT (lesbian, gay, bisexual, and transgender) community. 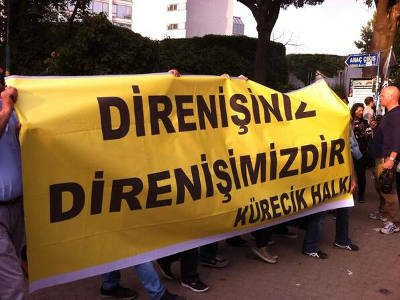 The banner says "What is a ban honey?" 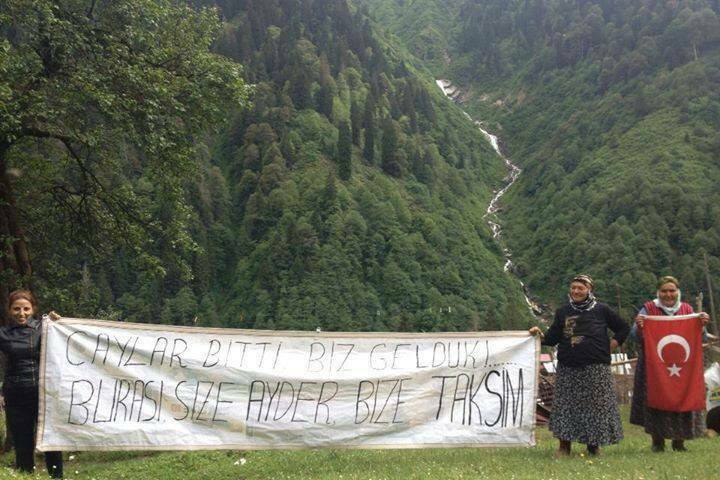 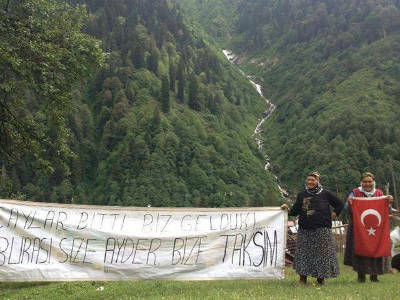 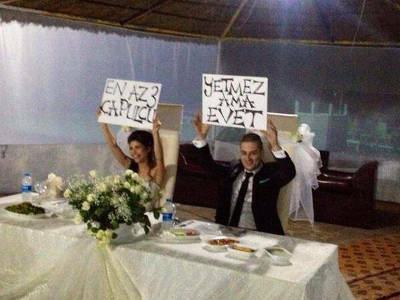 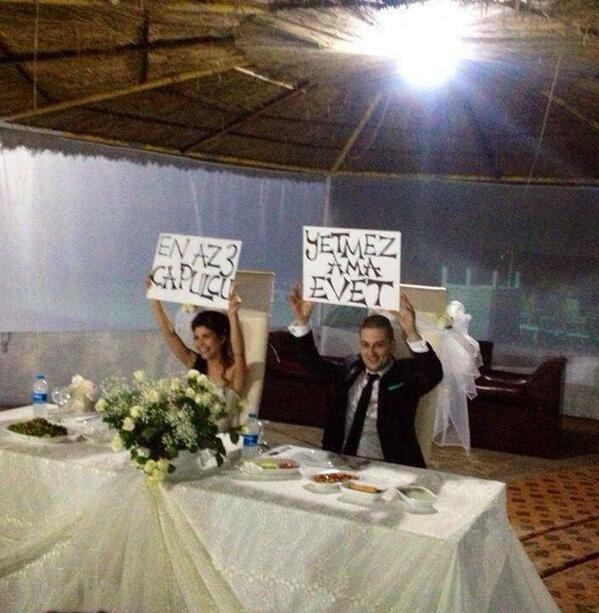 A just married couple supporting the protests, where the woman holds a banner saying that "At least 3 çapulcus!" 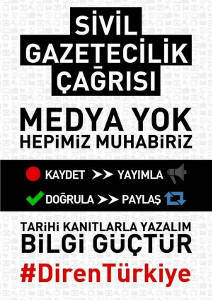 A poster calling out for civil journalism due to governments control of the press. 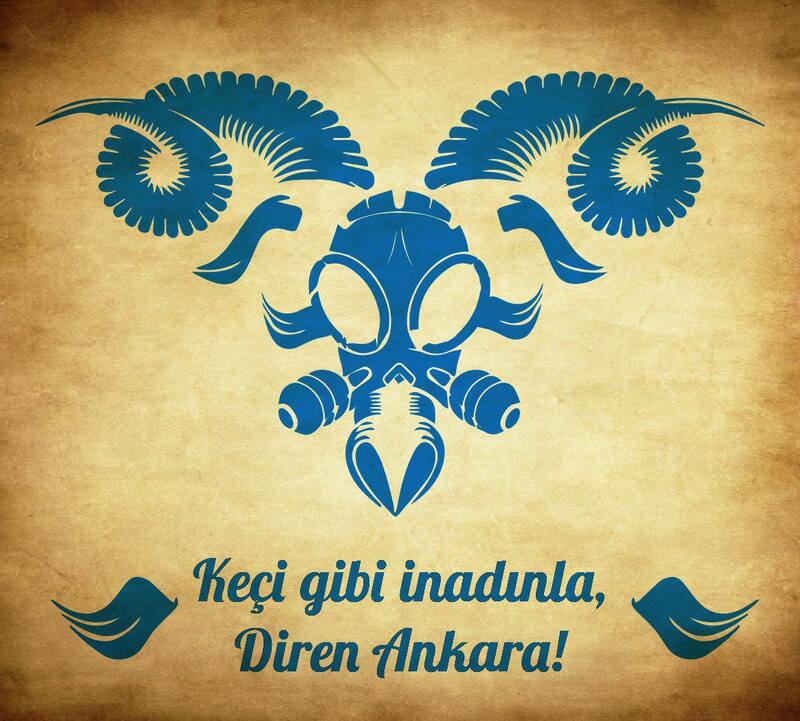 At the header it refers to Erdoğan's threatening statement saying that "Either stop the protests or we will talk in your language." In the drawing Erdoğan says "So...!! 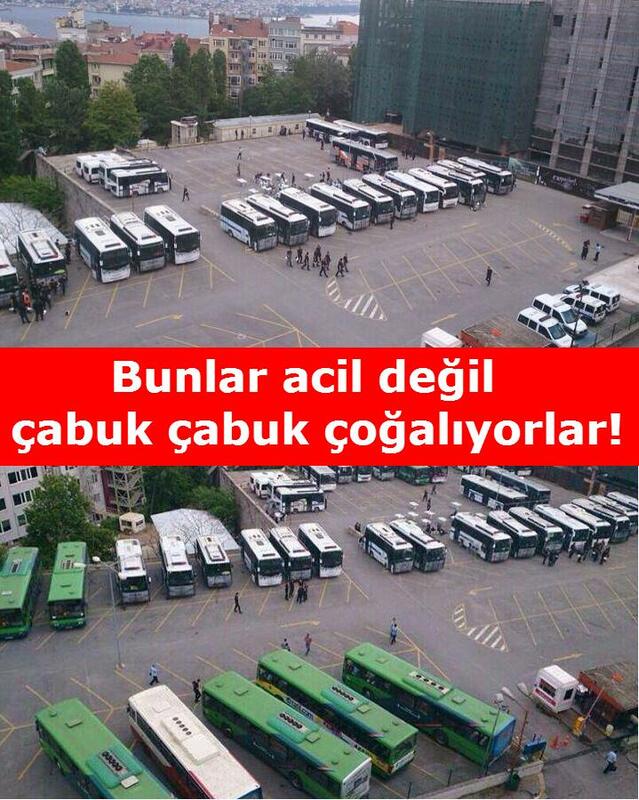 What the damn do they say?" 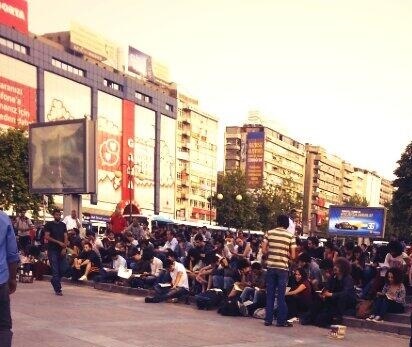 Passive resistance of a group of people gathered for reading is turned into clashes in Ankara. 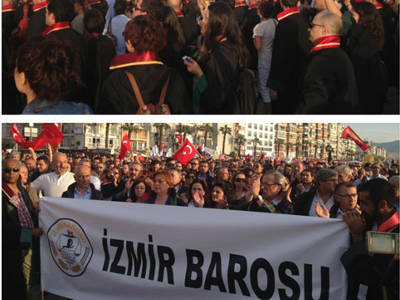 In İzmir, lawyers protested the custodies of lawyers in İstanbul yesterday.